Hello, Backers! Thank you SO MUCH for backing our 2019 season – we're so excited for the start of our season and we're off to a great start. We are grateful for your support. There's still a good way to go – but we've had some awesome progress we wanted to share with you. The big news is our bikes are in full-on production mode. As you may have heard, we're taking 8 discarded road bikes and are fully refurbishing them for our fleet of rentals. 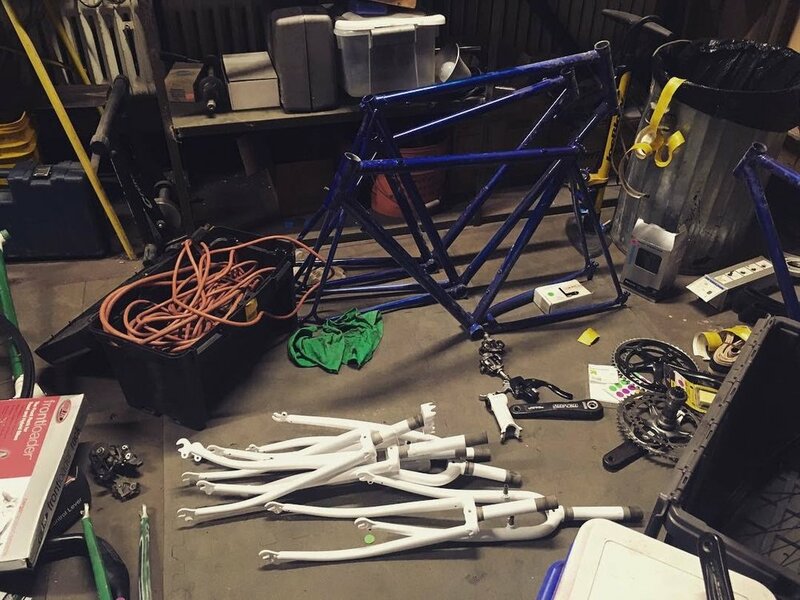 The bikes have been stripped down, sent out for powder coating and wow, are they looking great! Next up is putting them back together, tuning them up, and decaling – stay tuned for details! They're going to be SO GREAT! In addition, our promo materials are in production. We've printed up a couple thousand rack cards – which are being distributed around town, in hotels, bike shops, and anywhere that will take them! Know a place that could use some? Drop a line and let us know! We've also been hard at work putting together our May'den Voyage event – which will feature a 40-member ukulele ensemble (yes, we are teaching them our songs!) a talk by Chris Hawley on Asimur Mazurek, a forgotten Buffalo labor leader. Check out the Facebook page and please RSVP! Beyond that, we're getting our guides trained up and doing media outreach. 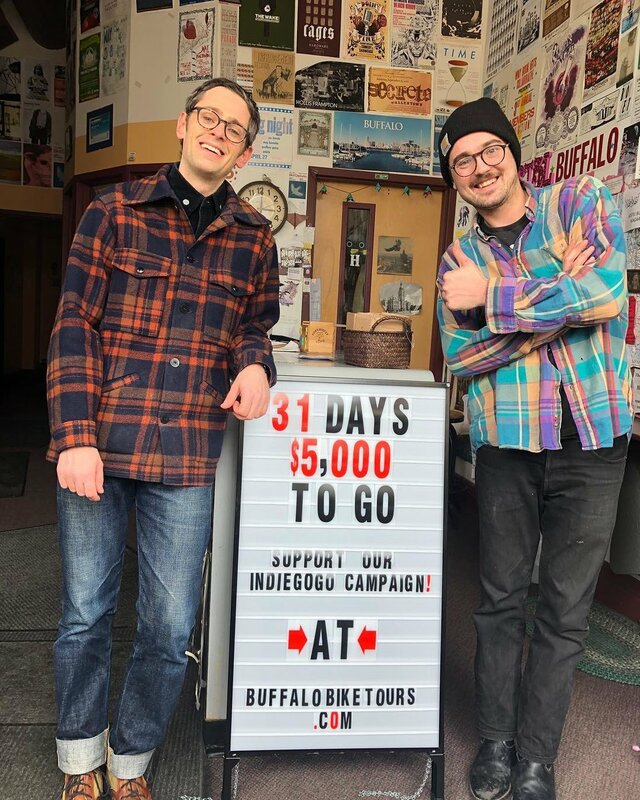 In the coming weeks look out for Buffalo Bike Tours on Channel 4, Spectrum News, and a feature in the Buffalo News, in addition to an upcoming promotion in early May with our friends at Visit Buffalo Niagara. Lastly, we just want to say thank you again and please keep hitting that share button! Share this with your friend, family, and networks – and encourage them to sign up for early bird tickets – before they fill up! By backing us now, you ensure we'll have a successful start and bright future. Thank you once again – we can't do this without you! !